This year on 20th November, HRH Queen Elizabeth II and HRH Prince Philip will be celebrating their 70th Wedding Anniversary. To mark this momentous occasion Royal Crown Derby have launched The Queen’s Platinum Wedding Anniversary Commemorative Collection. 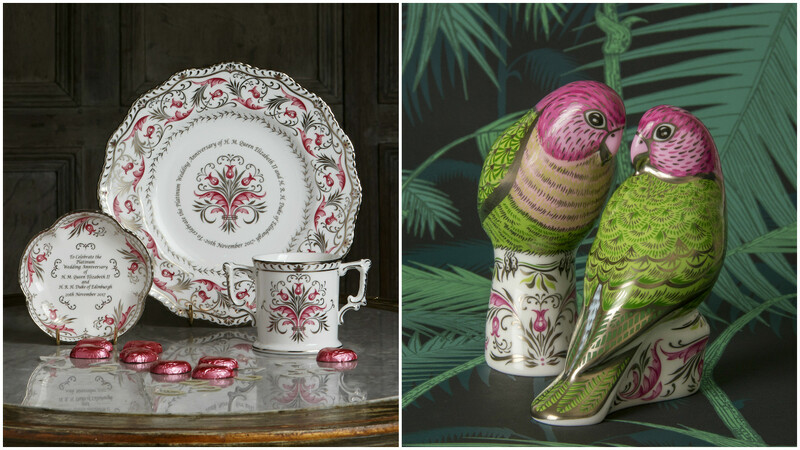 Featured on this breathtaking collection is a stunning adaption of the Princess tableware design. This pattern was originally created by Royal Crown Derby’s skilled artisans in 1947 to present to the Queen and Prince Philip on occasion of their marriage, and it is reported to be still in use at Windsor Castle to this day. 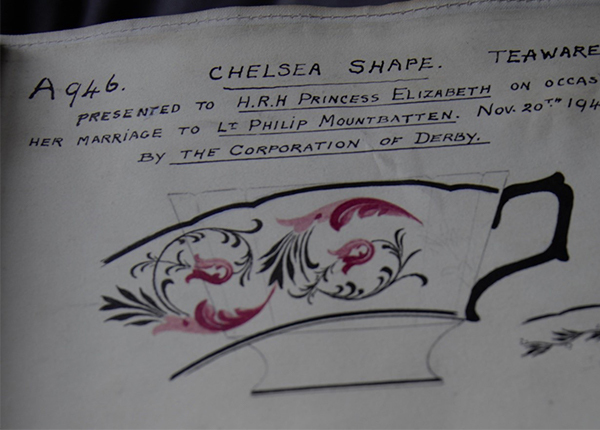 The original pattern design is stored safely in the Royal Crown Derby’s Archives as a beautiful record of this exciting time in history. The pattern number A946, has inspired this wonderful commemorative collection. 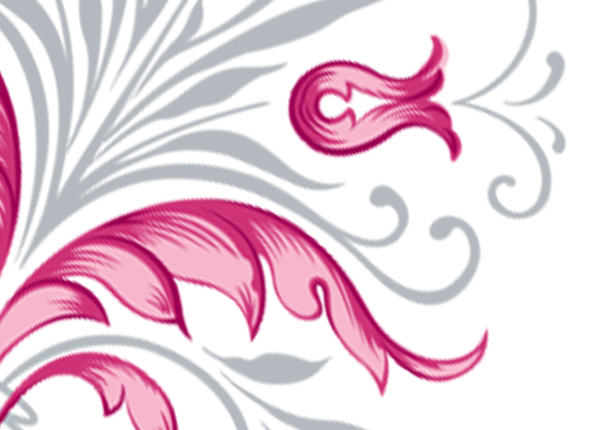 The design features swirling flora & fauna inspired motifs in shades of blush pink, additional detailing has been added inspired by orange blossoms and star lilies used on the Queen’s wedding dress designed by Sir Norman Hartnell, making it a truly special design. 22 carat gold was used originally to highlight this very special surface design had been replaced with platinum the stunning precious metal used in Britain to celebrate a 70th Wedding Anniversary, making this commemorative collection a wonderful celebratory range. Four stunning fine bone china pieces comprise the collection featuring a Limited Edition of 500 Gadroon Plate, a Limited Edition of 500 Loving Cup, a Five Petal Tray and the Limited Edition of 500 Majestic Love Birds Pair; each proudly displaying this specially adapted design, an exclusive platinum backstamp on each piece and a wonderful finishing touch, making them a wonderful way to celebrate this landmark occasion for the Royal Family.